Section 49 deals with a group of people who believed in Jesus Christ, but had some interesting beliefs about how to apply the gospel. The Shakers, or the United Society of Believers in Christ’s Second Appearing, did not view baptism as essential. They viewed living a celibate life as a higher form of Christianity, and looked down on eating meat. Making this relevant to the students is a matter of helping them see themselves in the Shaker equation. If we help them see how much like the Shakers they are, they can take the counsel out of this section and apply it to their lives. D&C 49:2 is applicable to the students. “They desire to know the truth in part, but not all.” How many of the youth can honestly answer that they fit into this description? Which part of the truth do the Shakers not want to know? They don’t want to know that which is contrary and will require them to make some changes. They don’t mind hearing about the parts they are already doing… but all of us struggle to make changes in our lives. This section identifies the tendency we have to not embrace change. 1. Things that they should do they view as unimportant: baptism & receiving the Holy Ghost. 2. Some commandments they take to an extreme and twist so that they are out of balance: chastity, word of wisdom. The principles of the gospel should be in balance. We likened keeping the commandments to staying on a surf board. On one side is the tendency to not view the commandments as vital, on the other side are those who are ultra extreme. All Satan wants to do is to push you off one side or the other. If a commandment is no big deal, he pushes you off, or if you get fanatical, he can push you off the other side. How do you add to or take away from a commandment? You take away by saying it is not important. You add to something by making it say more than it is. Which ones do the youth most fall in to? Most said they downplay the commandments. I asked several classes if and when they fall into extremes and they all responded that they get extreme in not dating. Since the prophets have asked that they not date steady in high school, many choose to not date at all. We had a good discussion in class about how the youth either disregard the commandment on proper dating by going steady, or they choose to not date at all. In either case, they lose opportunities. Going to extremes is not only unbalancing, but causes youth to lose focus on what matters most in their lives. Some sayings of Jesus are very difficult to bear. These are the “hard sayings” of Christ. Peter illustrates for us that these hard sayings are the only way back to Him. In the Bread of Life sermon, Jesus essentially tells the Jews that he is the Messiah they need, not the Messiah they want. He came to not fill them with physical bread, but to offer up his body to them in sacrifice for their sins. 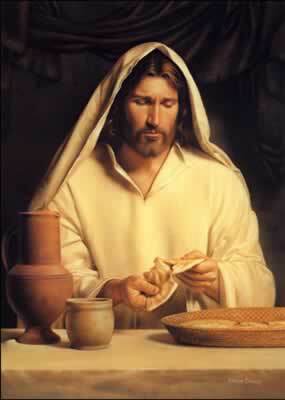 He came to them (and us) to be their bread of life. We had a discussion on some of the hard sayings of the youth today. Every class had a different list. For many, waiting to date until 16 was a hard saying. For some it was fasting. Others expressed the challenge to forgive as a major obstacle in their lives. Peter gives the answer to the problem in D&C 49. He says, “to whom shall we go? thou hast the words of eternal life.” (John 6:68) Peter realizes that there is no other place, no other truth. Peter essentially says, “I will accept all of the gospel how it is taught, in its totality”. When we see ourselves in the Shaker condition, this section gains relevance in our lives. All of us have (if not just a little) a tendency to want to be cafeteria Mormons, picking and choosing what to believe. Or in the words of Elder Maxwell, we want an unbroken chain of green lights to an empty parking spot. C.S. 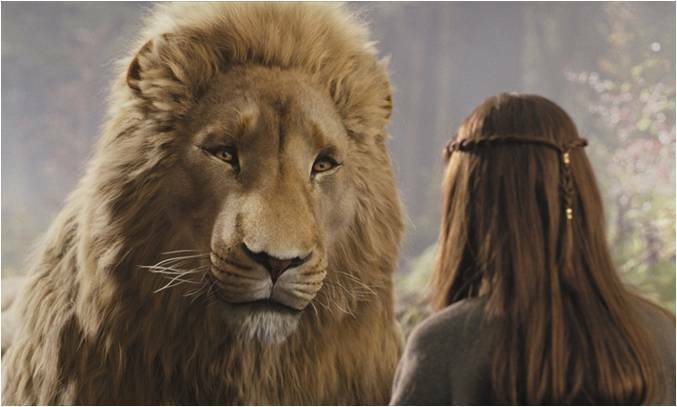 Lewis teaches us this concept with the exchange between Aslan and Jill in his book The Silver Chair. Jill, a little girl from our world, accidentally stumbles into the world of Narnia. She is extremely thirsty and comes upon a stream. But a Lion, Aslan, is sitting by the stream. She is terrified. Aslan says to her, “If you are thirsty, you may drink.” She doesn’t move. “May I, could I, would you mind going away while I do?” said Jill. The Lion answered this only by a look and a very low growl. And, as Jill gazed at its motionless bulk, she realized that she might as well have asked a whole mountain to move aside for her convenience. “Do you eat girls?” she asked. “I dare not come and drink,” said Jill.